I have had dogs all my life, but in 1987 I found my first Weim and she just happened to be blue. I was hooked – I love the breed and especially the blue coat color. 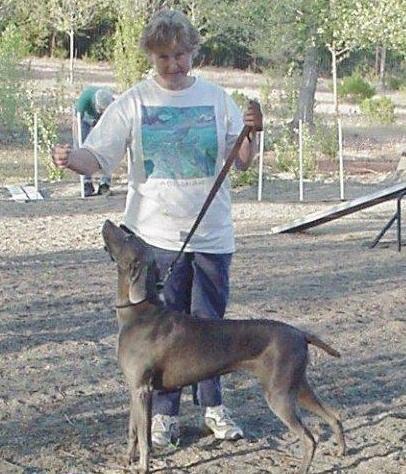 I have been breeding Weimaraners since 1992, specializing in the blues. I am committed to improving the quality of the blue Weimaraner so the breed can be the versatile dog they were meant to be. 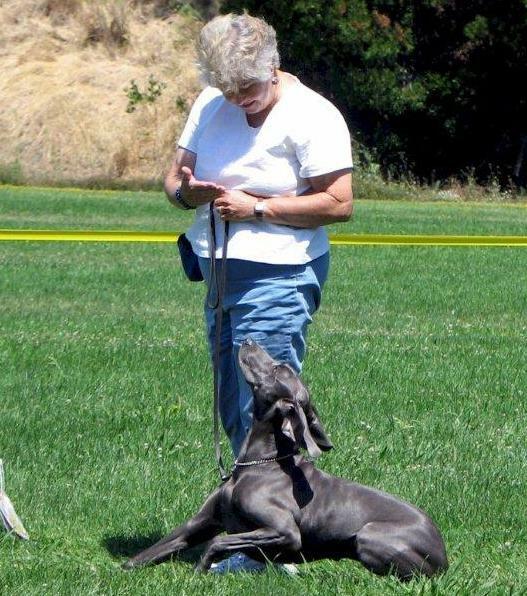 I am one of the founding members of the Blue Weimaraner Club of America and also of my local Kennel Club, where I am an obedience instructor. I have taken classes and seminars in obedience, agility, rally, tracking, conformation and field. I have titled dogs in NAVHDA, AKC Hunt Tests, Obedience, Rally and IABCA Conformation. 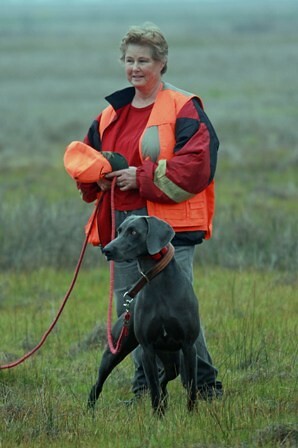 In addition I am a member of North American Versatile Hunting Dog Association (NAVHDA), International All Breed Canine Association IABCA.I have been an active member of the San Francisco Bay Weimaraner Club since 1996 in which I was Club Secretary for four years and Show Secretary for 2007 for the Specialty. I am involved in our regional rescue groups in transporting and home inspections. I am on many forums and FB discussing the betterment of the breed. I am the editor of the LCKCNC PawPrints and the BWCA BluePrints and the Registrar for the BWCA.